Are you looking for high quality air pollution infographics to use in a presentation, on a website or to share on social media? The air quality infographics on this page are the best ones you’ll find on the Internet, and come from very reputable sources. Through the use of graphics, these organizations reveal shocking statistics about the health effects and economic costs associated with air pollution. Even though you may think that the air around you looks clean, it most likely is not, and you may be suffering from hidden health effects without even knowing it yet. Education is powerful and the more you know, the better you can protect yourself from the invisible dangers of bad air quality. Check out these infographics to learn more. 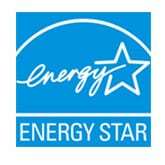 Then head over and use our tool to compare air purifiers to find a good solution for your home. 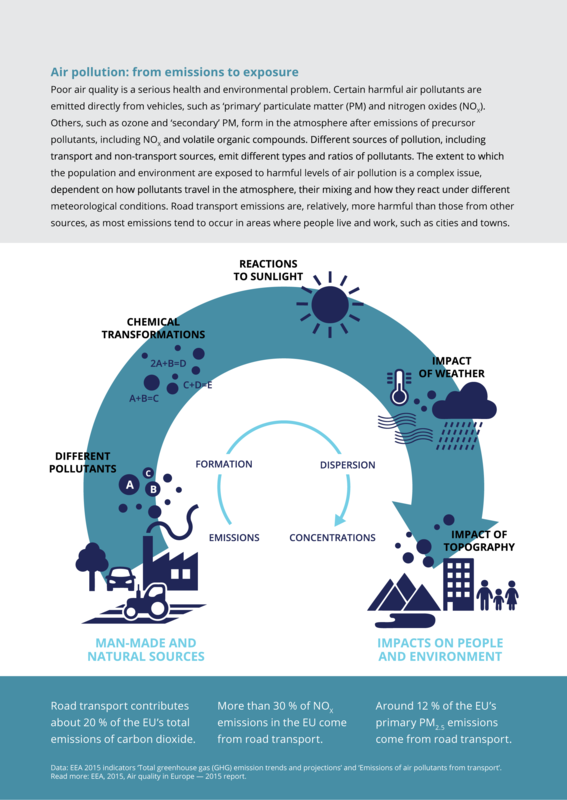 This air pollution infographic was put together with data from a joint study with the World Bank and the Institute for Health Metrics and Evaluation (IHME). It reveals the substantial costs that air pollution has on the economy and the numbers of lives lost due to unhealthy air. A shocking 87% of the world’s population lived in areas that exceeded the World Health Organization’s air quality guidelines in 2013 and 1 in 10 deaths worldwide are attributed to air pollution. These premature deaths are costing the global economy $225 billion dollars of labor income each year. Air pollution is a challenge we can’t afford to ignore. For almost two decades, the American Lung Association has analyzed data from official air quality monitors in order to put together a report entitled, “State of the Air.” This popular infographic shows the data from the 2013 report. The 2017 version, which has less details, can be found here: State of the Air 2017 Infographic [PDF]. 131.8 million people in the United States live in an area where the air quality gets an “F” rating. The people who are most at risk are infants and teens (whose lungs are still developing) and people over the age of 65 (whose bodies are more vulnerable.) People who primarily work or are active outdoors are also at higher risk of developing health related conditions from air pollution. How can you protect yourself and your family? This air quality infographic provides some actionable tips. 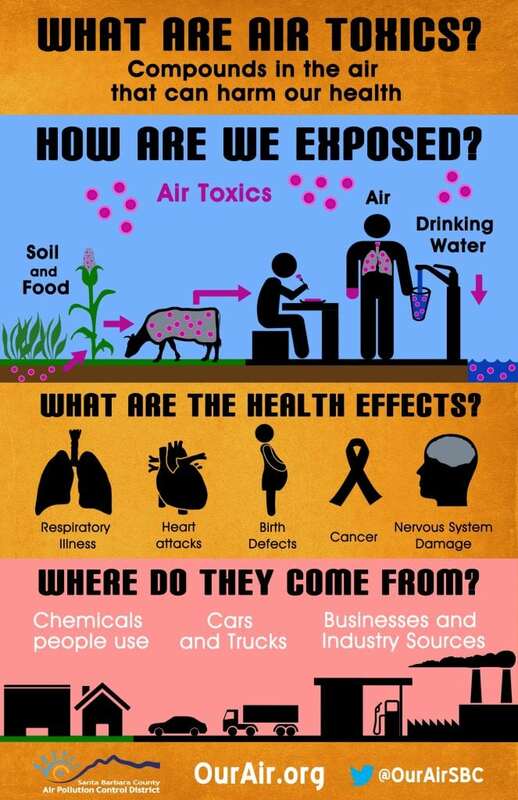 The Australian Academy of Science is using this infographic to spread awareness about the dangers of smog, smoke and particles to human health. Although Australia’s air quality is better than many other countries, it’s imperative that steps are taken to ensure it stays that way in the future. Deaths that occurred as a result of poor air quality raised from 882 in 2005 to 1,483 in 2010. Air pollution is now the world’s largest single environmental health risk. In 2012, 7.3 million people died because of air pollution. What can you do to help stop air pollution? This infographic offers some practical tips. The CDC National Environmental Public Health Tracking Network understands the severe harm that air pollution is causing throughout the world. This infographic explains how particles in the air like dust, dirt, soot and smoke have been linked to overall increases hospital visits, decreased lung growth in kids, lung caner and even early deaths. Ground-level ozone is one of the biggest culprits and is one of the biggest contributors to smog. Who’s most at risk and what can you do to improve air quality? This infographic explains those things and more. The News Wheel put out this infographic to highlight data surrounding air pollution caused by automobiles. 28% of greenhouse gases are created by transportation and 62% of those gases are caused by light-duty vehicles, such as sedans, mini vans and pick-up trucks. The effects on human life from air quality concerns such as these are saddening. 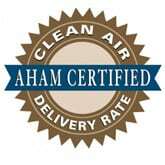 Asthma and premature deaths are on the rise and on average, air pollution reduces our lifespan by 1-2 years. What are air toxics? How are we exposed? What are the health effects? And, where do they come from? These are all important questions that the Santa Barbara County Air Pollution Control District answers in this infographic. The Earth’s soil, food we eat, air we breathe and water we drink are all exposed to pollutants. These pollutants can end up inside our bodies an cause all sorts of health problems, such as respiratory illness, heart attacks, birth defects, cancer, nervous system damage and more. Use this infographic to help others become aware of this serious environmental issue. Rabbit Air is a leading manufacturer of air purifiers. An air purifier is a device that strips the harmful toxins from the air so they don’t end up inside your lungs or blood stream. An air cleaner is one of the best devices you can get for your home to ensure that you’re only breathing clean, fresh air at all times. The company’s MinusA2 product is featured on our considered the top air purifier for smokers of cigarettes and cigars. 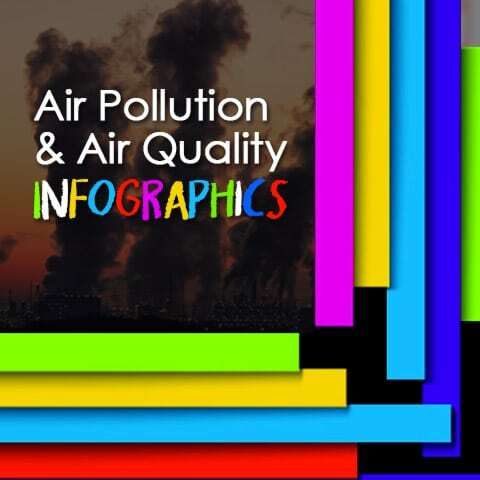 This air quality infographic explains some of the statistics behind diseases caused by polluted air, types of pollution agents, a risk map for cancer from toxic air in the United States and more. Many people think that if the air looks clean, then it probably is. However, this is false. The World Health Organization is trying to bust this myth by sharing an infographic with the public about what percentage of lung cancer, strokes and heart disease is attributed to air toxins. 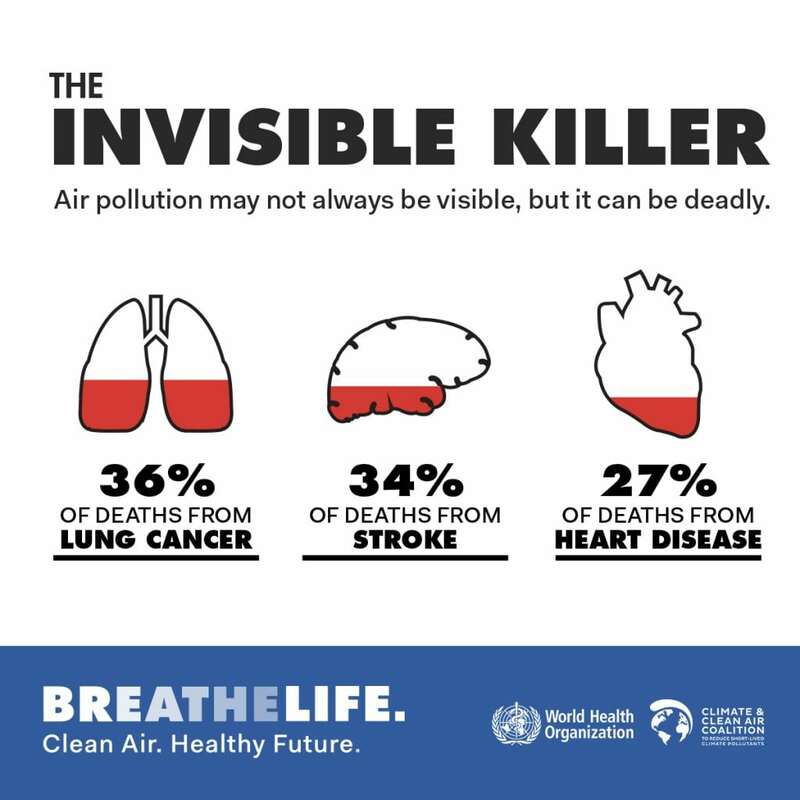 Sadly, air pollution may not always be visible, but it can be deadly. It is considered the invisible killer. It also includes additional information on common household pollutants that lead to bad indoor air quality, the best and worst cities for air quality in the world, and how naturally occurring minerals within the Earth can be hazardous to your health. If you have allergies, then you probably notice the effects of air pollution more than others. In order to breathe better and feel better, an air purifier can keep your home free of airborne contaminants. To find out more about how this device works and what to look for in a top quality product, we have a free guide with the best allergy air purifier review and features for you to use. 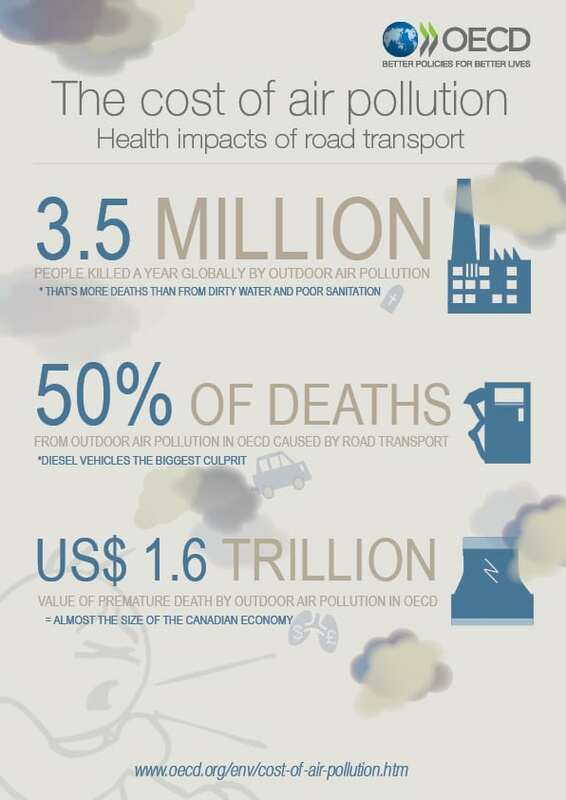 The OECD has released an infographic on the cost of outdoor air pollution and the health impacts of road transport. This main data points include 3.5 million people globally killed each year, 50% of deaths caused by road transport, and the cost on the economy is valued at $1.5 trillion dollars for premature deaths as a result of outdoor air pollution. The European Environment Agency release this infographic to demonstrate the air pollution cycle from emissions to exposure. There are many pollutants that are emitted from man-made and natural resource into the air we breathe. These toxins are considered to be primary particulate matter (PM) and nitrogen oxides (NOX). Secondary PM forms in the atmosphere as a result of these emissions. The cycle shown in the graphic below demonstrates the process of emissions > formation > dispersion > concentrations. 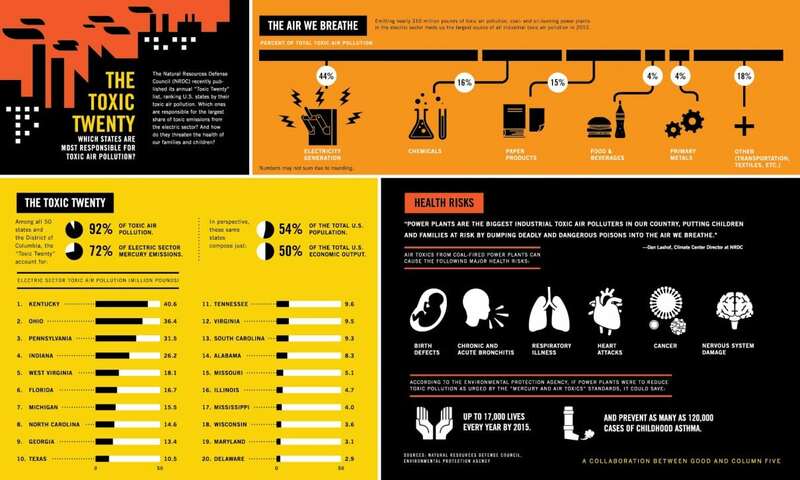 This air pollution infographic was a collaboration between Good Magazine and Column Five media. Based off data from The Natural Resources Defense Council, it reveals the top twenty states that have the most toxic air. Additionally, it explains how toxic particles are emitted into the air and the health effects air pollution exposure. Surprisingly, electricity generation accounts for 44% of total toxic air pollution that we breathe.